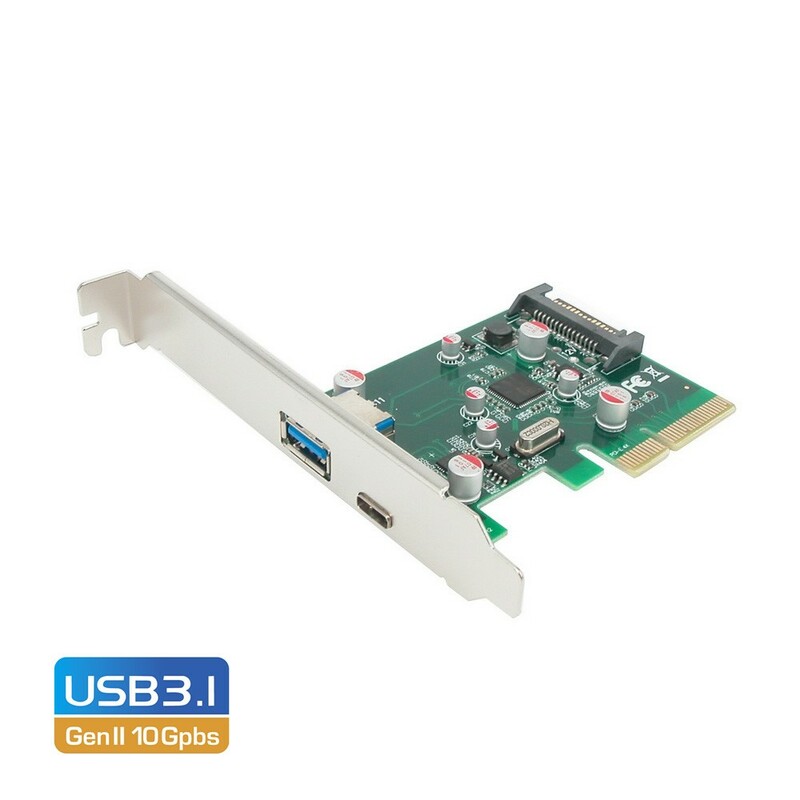 EC312 provides both SuperSpeed+ USB 3.1 Type-C and Type-A ports, this USB 3.1 Generation II Expansion Card delivers the necessary bandwidth and features required by modern PCs and portable devices. Featuring one Type-A and also an additional USB Type-C port, it works up to 10Gbps for data transfer when connecting to USB 3.1 Gen II compliant peripherals, while maintaining compatibility with existing USB peripheral devices. USB 3.1 Gen II performance is 2 times faster than USB 3.1 Gen I and 20 times faster than USB 2.0 connectivity. With next generation USB Type-C reversible connector, which means that users will no longer need to be concerned with plug orientation/cable direction, making it easier to plug in. This card is an ideal choice for external storage devices, digital cameras, webcam, video devices, and all other USB devices. The card draws power from the host computer via any available SATA power connector.